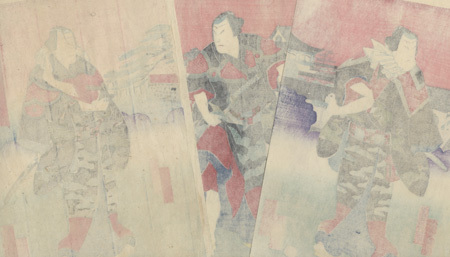 Comments - Fantastic, rare, ten-panel kabuki scene of ten otokodate or street nights set against clouds and a panoramic view of the rooftops of the city in spring. The men wear matching black kimono patterned with pine branches and cranes above a red fence. An incredible design with banners, blossoming, cherry trees, a bridge, and buildings stretching across the background. 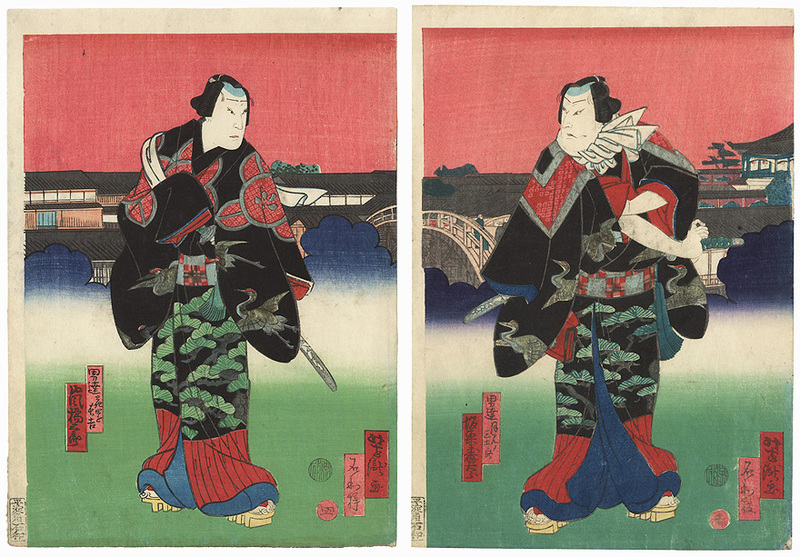 A great choice for a collector of kamigata-e or prints from the Osaka region. Condition - This print with excellent color and detail as shown. Ten separate panels, four panels backed with paper. Small loss at edge, repaired. Slight soiling. Please see photos for details. Good overall.